Im new in this community, and also opening this weekends fanworks post! 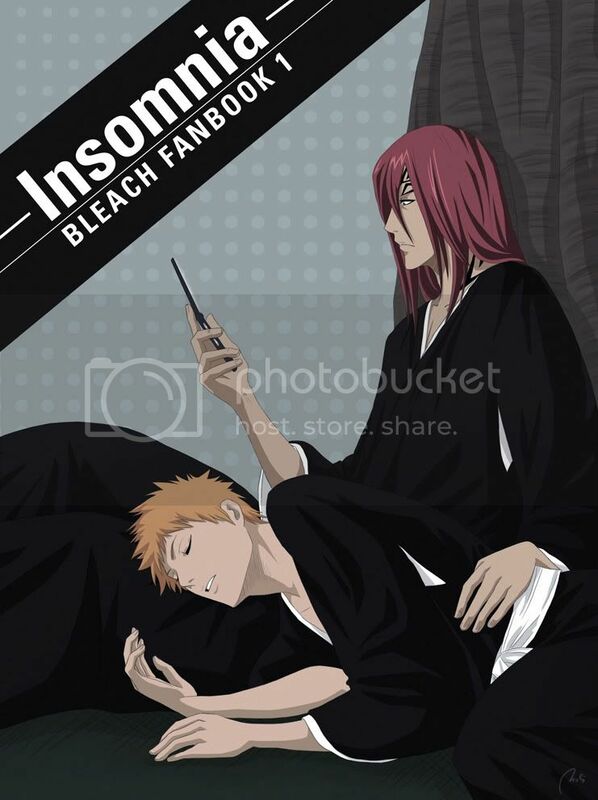 This cover was inspired by the best Renji/Ichigo story I've read. It's called Insomnia and was written by SilverKytten. Oh thank you for opening this post. That's a RenIchi gorgeous art. Here's a story I read recently that made LAUGH SO MUCH and filled me with love: Aizen's Fantastic Plan to Take Over the World by adam_epp Because seriously, what if Aizen ever used his ban kai? Bleach would have be such a different story. Lovely cover :) Thanks for advertising the fic in such a gorgeous way, I'll definitely read it once I get the time. This is a lovely pic! SilverKytten must be utterly blown away that she's been gifted something so wonderfully stylish and evocative. That is a fantastic RenIchi piece! That fic is my very first RenIchi fic, and also the very fav. I actually cant think of any other fic that would stay in my head for as long as this one has. I probably read it like gazillion times now lol. For RenIchi ff in series form, it's up there with Pull of Destiny and Phantasmagoria. Your art is beautiful! May you do more for RenIchi always! Thank you so much for introducing me to that fanfiction...pretty much knocked my socks off (But why--WHY--hasn't it been updated in three years? So sad!). Great art there too!